Burton JoyceCarltonColumnsNetherfieldNewsTony CaveTony Cave Column: Did you know train tickets valid to and from both stations? Tickets are valid at both stations, so you could go out from Carlton and come back to Netherfield and vice versa. This is a local East Midlands Trains (EMT) concession. If you have any problems then let me know as it does not appear in the fares manual. Off-peak fares are available after 8.30am from Carlton and 8.44am from Netherfield on Monday and Fridays and all day Saturday, Sunday and Bank Holidays. There are no evening restrictions on EMT, but some companies such as Northern (Arriva Rail North), do have weekday evening restrictions. If you travel fairly regularly on long distance, railcards will leave you money. Two corrections to the printed timetable leaflets (posters and websites ok). Table 7: Sundays – the 10.14 Skegness to Nottingham train also calls at Bottesford, Aslockyton, Radcliffe and Netherfield. (12.18) arriving into Nottingham at 12.25pm. Table 8 Saturday – the 19.47 Newark to Matlock train is as shown to Lowdham, then Carlton 20.08, Nottingham 20.16pm, departing. 20.20pm, Beeston 20.25, Attenborough 20.29, and as shown. All timetables I hand out at the stations have been amended. The Kangaroo ticket is now the Robin Hood ticket and is available on trains, trams and buses the same as before. However, only the day and season tickets are valid on trains and not the ‘pay as you go’. One change to the new timetable. I missed off the 21.24 Nottingham to Lincoln now leaves Nottingham at 21.20pm. However, it still leaves Carlton at 21.30pm, so has a four-minute wait at Carlton. On Saturday it does leave Nottingham at 21.24pm. As for passenger numbers, a few more records have been broken. 20 joined the 9.05am train to Matlock on May 25. 15 joined the 11.08 train to Matlock on May 27. On June 6, six adults and four children boarded the 8.02am. It takes a long time for people to realise there is an offer. A person in Carlton didn’t know there was a railway station in the town until they saw it mentioned on the online forum ‘Street Life’. “What? Trains from Carlton to Matlock?” is something I often hear so we still have a way to go to get the message out. 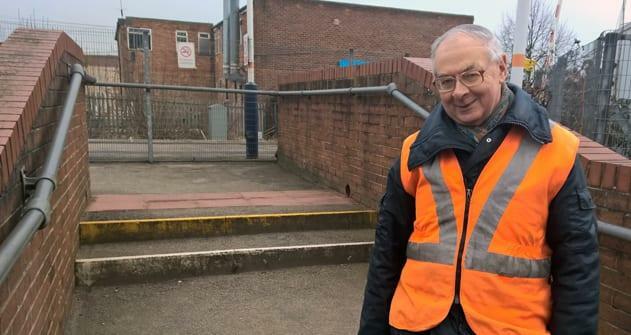 Radcliffe Parish Council have conducted some research and campaigned since last October fora better train service. This has included a meeting with Department for Transport and EMT reps with the hope of some improvement this December. We have been included in the campaign so will be included in any improvement to services Radcliffe may get. The Lincoln to St Pancras train to call at Carlton at 07.48am and 20.46pm on return. A train at 7.30am from Nottingham. The 7.35 Nottingham to Skegness calling at Netherfield could provide this service for work people travelling in or around our area. Direct train to Lincoln and back for leisure travellers. If you have any other requests, let me know.